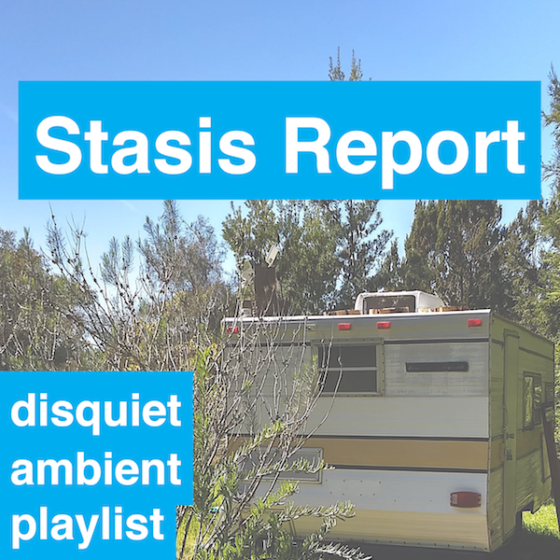 The latest update to my Stasis Report ambient-music playlist. It started out just on on Spotify. As of last week, it’s also on Google Play Music. The following five tracks were added on Sunday, August 26. ✚ “Mountain of Air” from For Organ and Brass by Ellen Arkbro, of Stockholm, Sweden. It was released on the Subtext label back in April of this year: ellenarkbro.bandcamp.com. ✚ “Memory Block” from Music for DOS by Simon Stålenhag, of Sweden. Per album title, the music was recorded using an old-school Pentium 266 Mhz (which was state of the art roughly 20 years ago), running the music software Impulse Tracker. Boing Boing featured the album this past week. The album was self-released two weeks ago: simonstalenhag.bandcamp.com. ✚ “Momentary” from re:memeber by Olafur Arnalds, based in Reykjavik, Iceland. It was released last week on the Mercury KX label: mercurykx.com. ✚ “Aerosols for Pluviculture” from The Biode by Robert Rich, based in Mountain View, California. It was released back in February of this year on Rich’s own Soundscape label: robertrich.bandcamp.com. ✚ “On the Day You Saw the Dead Whale” from Hundreds of Days by Mary Lattimore, based in Los Angeles, California. Dave Depper of Death Cab for Cutie singled it out recently in an interview. It was released on Ghostly in May of this year: marylattimoreharpist.bandcamp.com. “Never Saw Him Again” from the same album previously appeared in Stasis Report from June 4 through June 24 of this year. Some previous Stasis Report tracks were removed to make room for these, keeping the playlist length to roughly an hour and a half. Those retired tracks (by Daniel Aged, Ethan Gold, Kano, Simon McCorry, Orquestra de las Nubes, and Marta SmiLga) are now in the Stasis Archives playlist (currently only on Spotify).